Vidyaashram is a culmination of thought processes started to find a solution for the aspirants to achieve their goals in this highly competitive atmosphere, which is the cause of pressure building among them. considering this vidyaashram which strongly believes "Quality Always Matters" taking this initiative to revisit our classical way of imparting knowledge which builds the strong foundation of it and makes the understanding of concepts clear rather than make students cram. we want to create a platform of learning where students know the basics of the subject they are studying and making the learning as innovative as we can . "Most of the institutes focus only on the Q&A, theory and all but main focus of the Vidhyaashram is on fundamentals. It believes that if we give water to roots then only plant gives us fruits. If fundamentals are clear then you can crack any exam & If the fundamentals are not clear than nothing can help you in study. So Vidhyaashram goes Step by step Fundamentals - Theory - Problem Solving (at Coaching and at home) - Doubts If you face any problem the Vidhyaashram repeat the whole process to check whether we are on right track or not. This is what I like about Vidyaashram the most. " "Excellent faculty. Friendly nature of teachers more interactive and also there brilliant approaches to make tough things easy. " "Overall coaching give us best explanation regarding each and every problem to prevent mistake and score good marks in railway exam. " "Very precise and easy learning methods. One to one interaction between students and teachers help a lot in doubt clearance. Highly recommended. " Which is the best book for SSC CGL general awareness paper? book by kiran publication of 24/7 bankers adda store is best for General awareness paper. 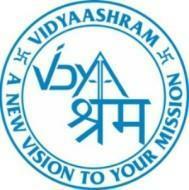 Vidyaashram conducts classes in Bank Clerical Exam Coaching, Class 10 Tuition and Class 11 Tuition. It is located in Civil Lines, Jabalpur. It takes Regular Classes- at the Institute. It has got 4 reviews till now with 100% positive feedback.